Network teams face many challenges when tasked with delivering applications at the speed of business demand. Increased complexity of application delivery infrastructure along with the growing demand for business agility are significantly impeding on the traditional way of managing ADCs. As new ADC agility initiatives evolve, so should your approach to ADC management. 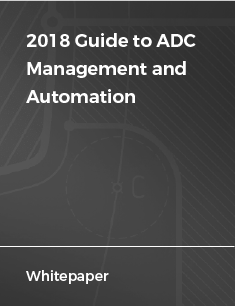 The new 2018 Guide to ADC Management and Automation: How to Get Ahead of the Curve presents a simplified framework for automating repeatable processes, and enables application and network teams to collaborate effectively to move faster, enforce compliance, eliminate errors and reduce cost.